The Sun isn't something you look at very often, with good reason as it is so bright, so we normally think of it as a uniform yellowish disk. But actually it is a very dynamic place with incredibly violent weather.
' alt='Granules-like structure of surface of sun and sunspots.' 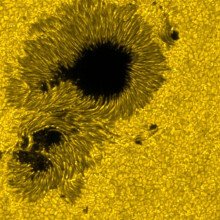 >Intense magnetic storms well up to the surface of the Sun, forming the slightly darker areas that we call sunspots. These would just be an interesting anomoly if it wasn't for the fact that sunspots can develop into solar flares and ultimately coronal mass ejections, huge explosions on the surface of the Sun which hurl high energy particles out into the solar system. If these hit the Earth they can damage satellites, distort the Earth's magnetic field and generate enough current in power systems to melt transformers. So that we can be prepared for these events, predicting space weather is extremely important. Up until now this has been based monitoring the visible surface of the Sun, but Stathis Ilonidis and collegues at Stanford University have been studying seismic waves on the surface of the Sun - essentially sunquakes. For obvious reasons, we can't put seismometers on the Sun's surface. Instead, we use special cameras on board the SOHO spacecraft. These cameras are sensitive to the tiny changes in wavelength of the light coming from the solar surface as it is moved up and down by a seismic wave. From these it is possible to build up a picture of a seismic wave travelling across the surface. Publishing in Science, the researchers report identifying a distinct series of seismic waves that precede the arrival of a sunspot, and these have their centres at the point where the sunspot erupts on the surface. These waves seem to be created about 40-70,000 km below the surface of the Sun. By studying how these waves are moving they are able to predict a sunspot 1-2 days before it actually appears, which could in the future help give sensitive installations more warning of an incoming solar storm. Scientists have developed a technique for finding new ways to treat existing diseases using drugs that are already in existence and currently prescribed for completely different conditions. 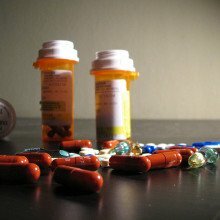 Scientists have developed a technique for finding new ways to treat existing diseases using old drugs. Writing in Science Translational Medicine, Stanford University researcher Joel Dudley and his colleagues applied the logic that if we know which genes alter their activities in a certain disease, and we can find a drug that has the reverse effect on those same genes, then that drug might well reverse at least some of the symptoms. Focusing on the inflammatory bowel disease (IBD) ulcerative colitis as a proof of principle, the team mined the database of published gene screens relevant to the condition and also the effects of a range of drugs. The trawl identified a number of therapeutic "hits" amongst a range of agents that had never even been considered, let alone tried, as treatments for IBD. At the top of the list was an anti-epilepsy drug called topiramate, which scored even better than the current therapeutic gold standard, prednisolone, an immune-suppressing steroid. To find out whether topiramate is actually be effective at treating the disease, a group of rats with the rodent equivalent of ulcerative colitis were given either prednisolone, topiramate or a placebo. Sure enough, just as the test predicted, topiramate turned out to be as good as prednisolone. 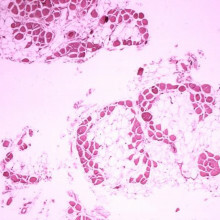 Chris - Duchene Muscular Dystrophy or DMD is a genetic condition in which sufferers lack the ability to produce dystrophin which is an essential structural protein in muscles. This leads to muscle wasting and ultimately, difficulty with walking and breathing, and symptoms usually appear by the age of about 5. Duchene Muscular Dystrophy could be treated by giving patients a healthy copy of that dystrophin gene, but the problem is that the gene is too big to fit into the viruses that we might normally use to add genes to cells. Now researchers in Italy have got around the problem by building an artificial chromosome to carry the gene into some cells and then adding this to stem cells which can then be used to repair damaged muscles. And to tell us more, we're joined by Professor Giulio Cossu from the University of Milan who's the scientist behind this work. Hello, Giulio. Chris - First of all, how common is DMD, Duchene Muscular Dystrophy? Giulio - It is a quite common disease affecting approximately 1 in 3500 males, because the disease is linked to the X chromosome, so that only male children are affected while females are carriers. They can carry the disease, but not be affected themselves. Chris - And the gene is monumentally big. Chris - How big is big? Giulio - It is actually the largest gene known on this planet. It is larger than many bacterial entire genomes. It's more than 2 million bases which is the main problem for classic gene therapy where the healthy copy of the gene is normally vehiculated through viral vectors, but this gene is too big. Chris - So, it's not simple to just add a new copy of the gene into the affected muscle cells on account of its size, so what approach have you been taking instead? Giulio - Well, the approach we took was to use a human artificial chromosome, created in Japan by our collaborator, Mitsu Shimora, who has progressively taken away pieces of chromosome 21 and replace the missing part with the whole dystrophin gene, with all these intervening sequences, regulatory sequences. So it's sort of a mini chromosome that is able to replicate every time the cell replicate its own chromosomes. So it goes around every time that the cell divides and can carry the whole dystrophin gene inside the cells. Chris - So, you could put that chromosome into a diseased cell that lacks a healthy copy of the dystrophin gene. It would replace the unhealthy gene, make healthy dystrophin protein, and that should make the muscle function improve. Giulio - That what we found in mice, but as you all know, everything is much easier in mice than in patients! And one reason is that the transfer of the artificial chromosome is inefficient. So that you need to select for the cells that took the chromosome versus all the other many, many more which did not, and human cells do not have, at variance with rodent cells, this infinite ability to proliferate in vitro. Therefore, immediate transfer of this technology to human cells is not possible and will require further technical steps to make it possible. That's what we are working on and we hope to solve this problem in the next years. Chris - So, given that you can't just add the artificial chromosome directly to the muscle, what approach have you taken instead? Giulio - So we took this cell that we've been working on for a number of years. They have a terrible name. I apologise this - mesoangioblasts. We weren't able to come out with anything better. Essentially, these are progenitor cells that are associated to the blood vessels, but we've discovered that they're also able to make muscle if taken up from the biopsy of skeletal muscle. The cells can be grown in culture, and in the past we've shown that normal cells can be delivered through the arterial circulation and reach the downstream muscle. That leads to an even distribution of the cells through the downstream muscles and in the past, we were able to show that this transplantation of these donor cell ameliorates the symptoms of muscular dystrophy in dystrophic mice and dogs. And at the moment, we have a clinical trial running, but the problem is that the strategy with donor cells requires two things - first, the patient need to have an initially identical donor, normally a brother, pretty much like bone marrow transplantation and second, this requires immune suppression which is not a simple thing to do. Chris - So a better way of doing it would be to take the person's own stem cells, their own mesoangioblasts, and your chromosome to them and then put them back into the patient, and then they'd only be getting their own cells, and that would get around that problem, wouldn't it? Giulio - Absolutely. The problem now is that we don't have enough cells to do all these things. All these steps can be done with mouse cells but not yet with human cells. So in order for this to be tested on patients, this strategy still requires a few years of laboratory work. Chris - And when you try to do this on mice, so if you take this mesoangioblast cells from the mouse and you put your artificial chromosome into them, can they improve the function of a mouse with muscular dystrophy and remedy its problem? Giulio - Yes, that's what we observed. After transplantation of these cells into dystrophic mice, the morphology of the muscles ameliorated. The motility of these animals increased even though it didn't reach the level of a normal mouse. In no case, should we talk about a cure, but just an experimental treatment that in preclinical setting, is producing an amelioration of the symptoms of the disease. Chris - Thank you very much, Giulio. That's Giulio Cossu from University of Milan. Still work to do, but a wonderful discovery which you can find them out this week in the journal Science Translational Medicine. The exact compostition of a candle flame is actually very difficult to work out - flames are a dynamic mixture of reacting gasses and get their colour from microscopically small particles of carbon. The problem is that these carbon particles are actively reacting in the flame, and by the time they have left the candle they have reacted to form CO2 or stuck together to form soot. 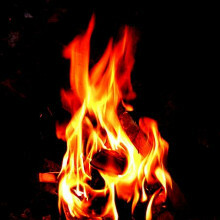 So what exactly is going on in the flame has remained quite obscure. This point that we don't really know what is going on in a candle flame was made to Wuzong Zhou, Professor of Chemistry at St Andrews University, he took this as a challenge and set about finding out. The big problem was extracting the particles from the centre of the flame quick enough and stopping the reaction. Zhou developed a new sampling technique which involved using anodic aluminium oxide films - these are a piece of aluminium which has been oxidised electrochemically to form a honeycomb like structure, which contains many holes of controllable size, generally a few 10s of nanometers across. The back of this film can be removed with phosphoric acid leaving, essentially, a filter. He built a sandwich using two layers of filter - the first with 80nm and the second 40nm holes - and put it into a candle flame for about 1 second. The films were then studied using an electron microscope to identify the products found in a flame. Zhou found tiny pieces of graphite, which you would expect in soot as this is the most stable form of carbon at atmospheric pressure. He also found fullerenes - ball shaped cages of carbon known as "bucky balls". The big surprise was finding tiny diamonds. However, as they are only a few nm across, just a few tens of atoms in diameter, these diamonds are probably not very useful for that engagement ring. Understanding how these diamonds are nucleating in a flame may be important in understanding the growth of diamonds in the process of chemical vapour deposition, this is used for industrial purposes ranging from scalpel blades to heat sinks and high temperature electronics, but could also be used for jewellery - bringing that engagement ring that little bit closer. Animals overheated by climate change are heading uphill and away from the equator, new research has shown. Animals overheated by climate change are heading uphill and away from the equator, a new study has found. A range of studies in recent years have suggested that some species are relocating to higher ground and farther from the equator in a bid to remain cool in the face of global temperature rises driven by climate change. But to what extent this migration is comprehensive and global across species was not known. Now York University scientist Chris Thomas and his colleagues have confirmed, in a paper in Science, that animals really are on the move. The researchers performed a meta-analysis, collating the results of a large number of previous studies that had monitored the movements of over 2000 species, to show that animals are moving uphill at the rate of about 11 metres per decade and shifting their ranges away from the equator an average of 16.9 kilometres over the same period. These numbers are far larger than those advanced by previous studies. The team cross-checked their results by making predictions of the scale of a species' movements based on the temperature changes in different geographical areas, and then comparing these predictions with the real observations. The two tallied strongly. There are some exceptions to the rule, with up to 25% of species bucking the general trend, like birds for instance, although accounting for these anomalies is outside the scope of this study. It's also unsurprising since the movement of one species may open up niches or reduce the stress on another species, enabling it to stay put. Keith - First of all, you have got your carbon dioxide gas which is then compressed so it's easier to pump along a pipeline in the same way as you would do with gas or oil. You then pump it down a well, into a suitable geological formation, where the carbon dioxide will then initially start to dissolve in any water that's there. Over time, chemical reactions will occur such that the carbon dioxide will then react with the host rocks and produce new carbon-bearing minerals which will permanently lock the carbon dioxide up. Caroline - The big box is an oven which is designed to simulate the temperatures that the rocks would experience deep within the Earth. And the tubes allow us to inject fluid into a sample of rock so we can look at how the flow processes will change with time. Richard - Let's have a look inside at the process going on. Whoa! The heat really hits you, doesn't it, as you open that up? It looks like a - I don't know - a big saucepan or pressure cooker in the centre. Caroline - It basically is, yeah. So we are pressurising the material, but we're squeezing it with a liquid around its outsides and that simulates how the rock would be squeezed in the Earth. These two vessels on either side of it are used to contain the gas or the liquid CO2 which we then inject into the big pressure cooker and see how easily the carbon dioxide will flow through the seal material. So what's the upper limit, beyond which we can't pressurise the reservoir any further? So we know how secure it could be. Richard - Well, Keith, we've come through into the next laboratory. Let's just get a sense then of what is going on underground when you inject carbon dioxide. There's a cap and then there's, what, a reservoir? Keith - A reservoir rock. Yes, I mean what you'd use typically as a reservoir rock is a sandstone. 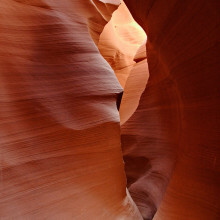 Sandstones are naturally porous. Richard - We've got some in a bag. Keith - We've got some in the bag yes, a sample of some Sherwood sandstone. It's quite grainy, it's red in colour. You will see this all over the North Sea and in fact, we're quite lucky that the North Sea is a great area for storing carbon dioxide underground. Richard - So you've got a cap, so it's not going to escape. But the other point here is that the carbon dioxide is not in there as gas, it will change over time, or the rock will change over time. Keith - Over time, that gas will first of all dissolve in any water that is present. As the carbon dioxide dissolves in that fluid, it would actually make the fluid more dense which will over time will allow the carbon dioxide to dissolve and reach out further and further into your reservoir. Richard - Which is the point to bring in Chris Rochelle here. You can demonstrate this can't you? Chris R. - We can show this process in the lab with very simple lab experiments where we fill a tall, thin cell, a bit like a piece of double glazing but thinner. We have a solution in that which is coloured. We put CO2 over the top of it and as this carbon dioxide dissolves, it changes the colour in the solution and we can see fingers of carbon dioxide-rich water dropping down over time slowly through this solution. And we can compare this with computer models and computer simulations. Will they agree? Can we improve the models that we've got through simple lab experiments and then try and compare them to bigger systems and real injection systems? Richard - Chris, you've got to be pretty sure you've got this right. Chris R. - Absolutely. It's got to be safe and you've got to have confidence that it will stay underground, both for public acceptance, and regulatory and carbon trading arrangements. But we can look at natural systems where carbon dioxide formed through natural processes is stored in certain rocks for millions of years. And in the same way that oil and gas are trapped and you get oil and gas fields, you can get fields of natural carbon dioxide. And we can look at these and say, "What can we learn from those? And can we pick the best sites to store it in the future?" Andy - This started back in the late '50s and early '60s but with more and more aircraft flying, these features have become more apparent. The most obvious examples are very thin cloud layers, mid-level clouds like 5 kilometres to 7 or 8 kilometres, and what they appear to look like, from photographs and people observing on the ground, is basically just like a circular hole inside of this thin cloud. So the cloud is surrounding the hole and often, almost always, snow or even rain is observed falling out of the layers. Chris - Was there debate over whether aeroplanes were actually causing this phenomenon or was that always a given and we just didn't understand why it was happening? Andy - The thought was early on that these were either meteorites, burning up cloud, or maybe they were rockets. Even more recently, there were observations that look like maybe they were flying saucers in the clouds! A spectacular example of that occurred a year and a half ago in Moscow, and it looked basically like a flying saucer, but what I believe it was, was precipitation falling out of a deeper cloud layer, so you couldn't see the hole because it was covered over the top by cloud, but had this feature that was almost like a flying saucer. Chris - So how did you step-in in trying to understand what was actually going on in these clouds with these funny features? Andy - Well, first thing that we just coincidentally noticed was four years ago, we had a project in Colorado flying our organisation's research aircraft through clouds to study their properties, and we made the observation that we inadvertently flew through a snow band which looked like it was produced from one of these holes. And it turned out, we went back and identified the two aircraft which actually flew through that cloud layer and they turned out to be two turbo props. Then we actually can measure the contents of this precipitation and that led us to extend the study to what looks like possibly not only turbo prop or turbine or propeller aircraft were inducing this effect, but jet aircrafts are as well. So we had a spectacular example in this study we did in the last year of almost 100 aircraft which were generating little lines, but some narrow lines may be 2 or 3 kilometres across, some were reaching 200 kilometres across of holes in clouds over Texas. Chris - So what you were effectively doing was marrying up flight data where the aeroplanes were with observations of these features, presumably from satellites, in order to say, "Look, the planes are present at the scene of the crime every time, so we can be reasonably sure that planes are triggering this thing to happen." Andy - That's right. Possibly not every time, but the circular holes are just giveaways. And so, what we did was we went to this terrific satellite image with a hundred of these holes with lines in them, identified the aircraft as both jet aircraft and propeller aircraft, turbo props, every aircraft you can imagine, military... So we identified aircraft, and then the next question we had is, "how long do these features last?" We think of an aircraft as just being a little pencil line through a cloud, and yet, these holes are visible in satellite imagery and elsewhere. And so, we decided, "okay, we would like to study this effect." So we used probably the most sophisticated weather research forecast model which is developed at my organisation, the National Centre for Atmospheric Research, and use that model with the same type of conditions, thermodynamic atmospheric conditions that were present in that terrific case that I just referred to and we were able to actually model the mechanism by which these holes were produced. Chris - So what is the mechanism behind this then? What actually causes the aeroplane to make this phenomena occur? Andy - So around the tips of propeller blades for propeller aircraft and for turbo prop aircraft, there is expansion of the air, that's the engines pushing back behind it, and the expansion process causes cooling. Cooling then can cause cloud droplets, which are at the ambient temperature anytime they're below about -10 degrees centigrade, to cool to the point where they spontaneously freeze at -40. And this is a well-known phenomenon of spontaneous freezing. It's just that the aircraft, just like a weather modification activities, act as a nucleus that provide ice crystals and these crystals then seed the cloud. Chris - So does this only apply to a subset of clouds because I would think that clouds that are quite high up in the air will already be at that much lower temperature? So will this be clouds closer to the ground then? Andy - It could be clouds in the middle atmosphere in the summer. They're at the temperatures where this process can occur, which is where almost all of the sightings of holes in clouds have occurred. 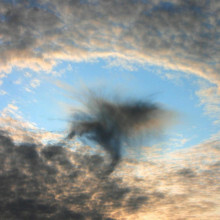 But in the winter time where there is thicker cloud, often near the surface in a large percentage of cases in mid-latitudes then this effect can occur at low altitudes and you wouldn't necessarily see a hole but there is precipitation that will be formed when temperature is below -10 degrees. Chris - So the plane goes into the cloud. In the case of propeller driven aircraft, you get zones of low pressure around the tips of the propellers. Do you get the same phenomenon caused by jet planes because of the wing tips which have their associated low pressure regions around them? Andy - That's absolutely right and so again, that low pressure is due to expansion of air and that then has the effect of cooling cloud drops at their ambient temperature down to as low as minus 40 degrees where they spontaneously freeze. So it really opens up almost any type of aircraft to this process and we have documented this for just about any type of aeroplane. Chris - So what actually happens once the hole has got seeded? So the aircraft has gone through, it's created the optimum conditions to make one of these holes on its way through, does the hole then grow because as you recruit more particles in and you get downdrafts as the particles fall out, do you then get more stuff coming in to replace it that then itself turns into more ice particles that drop out? Andy - What happens is that the process of going from cloud droplets to ice crystals liberates heat and if those crystals continued to liberate heat, they generate, just like a cloud, this buoyancy. That causes rising in the centre and cooling, or subsidence; subsiding air, and evaporation of cloud drops on the edge. Even though it's just maybe one burst of particles, this process is self-sustaining. We've documented 2 hours or more following passage of an aircraft that these holes are still observable. Chris - And how big do they become? Andy - We have documented 6 to 10 kilometres from a little pencil slice through a cloud from an aeroplane. Chris - So given that you've got this phenomenon, you can put the aircraft at the scene of the crime - we know they're doing it. Is it actually a meteorologically significant impact? In other words, how much water is the cloud robbed of in terms of its precipitation potential and if you summed all of the impacts of this around the world, is it important? Andy - It's not important on a global scale, but where it might be important is in the winter time, in mid-latitudes with busy airports like Heathrow, Frankfurt, De Gaul, O'Hare in the US, those airports which have considerable amount of traffic, those clouds can be continuously seeded in the winter where there's low cloud. Chris - And what sort of volume of precipitation are we talking about? Is it significant over background? Andy - We have documented a case at an airport in Colorado where the precipitation rate is up to 5 centimetres per hour. And if it lasts over that spot, if there are lots of aeroplanes flying through, we're talking about 5-centimetre per hour raise under conditions where there's a lot of aircraft traffic especially on climb out. Chris - And are there any other things that we can learn about cloud science or atmospheric science on the basis of what you've discovered? Andy - The most interesting thing is that we are able to document what's called dynamic seeding and in many of the earlier cloud seeding attempts have tried to invigorate clouds by dynamic seeding where they put ice in the cloud at a certain point, and they hope that the ice grows and closes these updrafts and downdrafts that are around the edges or circulations. This is a good example of this process and we're able to model it. 55:43 - How does a jet engine get started? 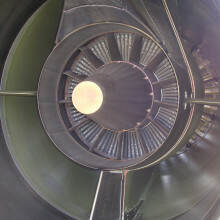 How does a jet engine get started? Dave - A gas turbine jet engine is quite interesting in that it just doesn't work unless it's spinning - like a normal car engine. So basically, you've got to spin it up fairly fast, so you attach an electric motor into it - either it's integrated in there or you stick on the outside and spin it up. Then it gets going pretty fast, you inject some fuel, then you essentially have something like a spark plug inside it which ignites the fuel, then it starts it going and it basically then starts running, spins up to full speed, and you have a jet engine. Chris - So it's not dissimilar to a diesel engine in a sense that you've got to get the engine spun up to start compressing air to get it hot so you can inject fuel to start it burning, and then once it's going, it's got its own ability to carry itself. Dave - Yeah, pretty much! Also, there's nothing really to make the air explosion coming out of the back if the air is not coming in the front so you've got to have everything spinning for it to work at all. 56:47 - Do contrails cool the atmosphere? Do contrails cool the atmosphere? Dave - I think there have been some studies done on this - there's one 3 or 4 years back - and I think they can either increase the temperature or decrease it, depending on where they are. If you're somewhere very, very sunny then they can actually reflect more heat out, than they reflect back in. 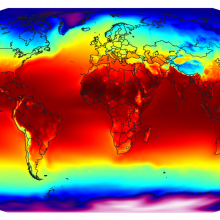 I think on average, they reckon, especially in places like the UK, they tend to actually heat up the Earth more because they are acting as an insulating blanket, as cloud does, and so they actually, if anything, increase the temperature. 57:30 - Are big planes damaging the ozone layer? 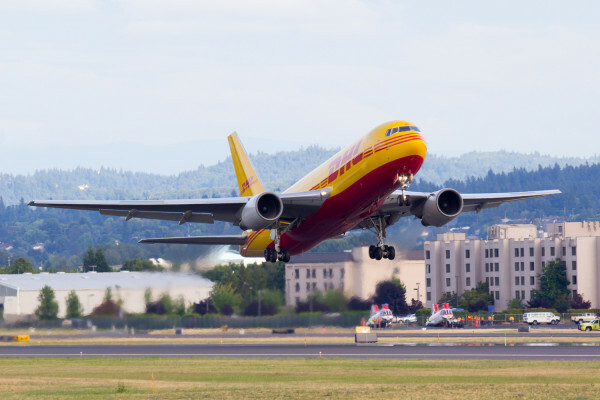 Are big planes damaging the ozone layer? Chris - We've got to bear in mind that big planes are going to pump out a lot of CO2 and CO2 will increase global temperatures and at high temperatures, I think, the equilibrium has shifted in favour of making less ozone and degrading more ozone. So you would have less ozone. Dave - And I think, if the plane is flying through the stratosphere, as concord was, then just pumping water in there can form little ice crystals which are very bad for ozone, but lower down, I don't think that's a big effect. Chris - So the height is important thing. Dave - I think that's certainly a very, very important thing. Chris - But presumably quite small in comparison with CFCs, chlorofluorocarbons, the things we used to put in fridges, which are known to be terrible for ozone. Dave - Yes and I think essentially there aren't many planes up in the stratosphere flying around, especially now, since concord has given up the ghost. 58:45 - How do solar sails work? Solar sails could allow spacecraft to "sail" on sunlight - but if light has no mass, how do they work? Natasha - To answer your question, in 1871 James Clerk Maxwell predicted that electromagnetic waves would exert a tiny but measurable force on a surface, and this was experimentally verified in 1899 by Pyotr Lebedev. One can integrate the electromagnetic wave equation and show that for an incoming wave, the exerted pressure is equal to half of the energy density of the wave. Or, as shown by Einstein in his Theory of Special Relativity, one can think of light as particles, i.e. photons, which have a momentum. This is equal to the energy of the photon divided by the speed of light. Therefore, when a photon is reflected or observed by a surface, it imparts some momentum to that surface. This is called radiation pressure. Solar sails utilise radiation pressure by combining the imparted pressure over a very large surface area. At Earth's distance from the Sun, this adds up to about 1 micro-Pascal of pressure. 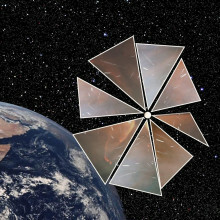 Solar sails typically have 20 to 30 square meters of collecting area, but some proposals have been made for designs with half a square kilometre of collecting area. The pressure is small but with a low mass sail, applied for large time, solar sails can build up to large speeds while using no fuel.